Obviously movies like this–especially those that are a shared experience with family and friends–give traction for very meaningful discussions. My eldest daughter went to see this movie with a non-Christian friend. They are both pursuing graduate level education for careers in art therapy. It will be very interesting to hear what they thought! 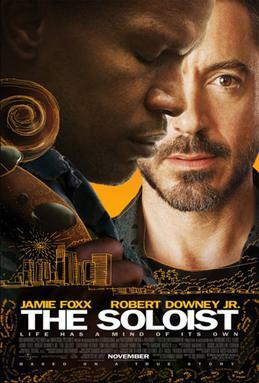 I’d be very interested to hear your assessment once you’ve seen The Soloist. Thank-you. I have yet to see the movie but believe that I will enjoy it. The implied lesson, that redemption requires personal connection and genuine/practical service, is one that I beleive should elicit consideration by our current Church leaders.